Tagged as Armistice Day, Feeding America, military, Veterans Day. It was just a piece of paper. Yet on the morning of November 11, 1918, it meant peace. For on that paper was a message from United States General John Pershing, ordering ceasefire on all fronts at 11 a.m. Germany had accepted the armistice. The Great War, or World War I, was over. While the battlefields were filled with the most devastating firepower ever assembled, it was a small piece of paper that was the most powerful instrument of that day. 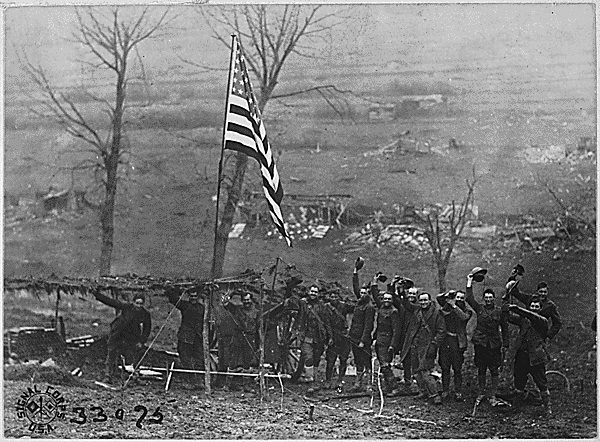 Americans fought and died right up to the armistice. Many who survived lived with the effects of shellshock . A whole world was in fact left shellshocked by the Great War, and millions of people were threatened with starvation and poverty as a result. “Hunger knows no armistice,” a poster for the Near East Relief Committee stated. To tell the full story of World War I and its aftermath is to tell of hunger and great humanitarians. The article in the Cincinnati Enquirer made it a point to mention the city’s impressive record providing relief throughout the conflict. 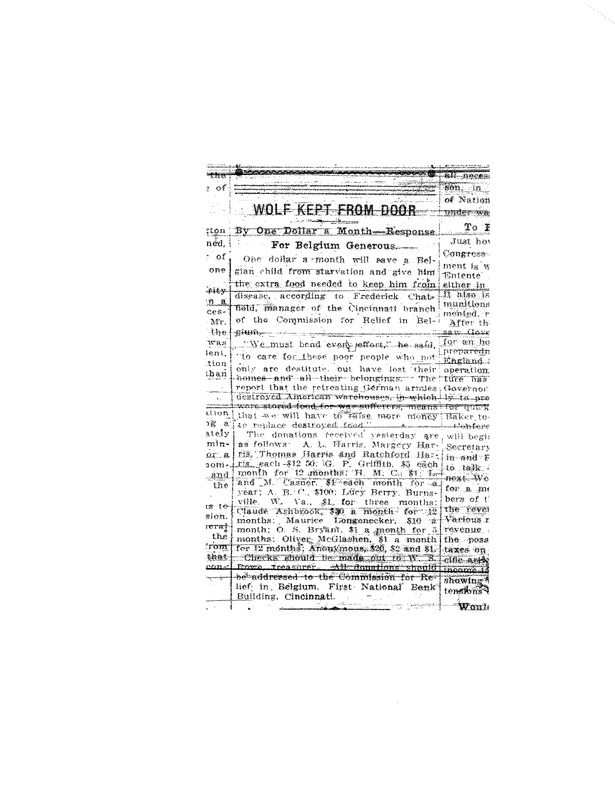 In fact, in 1917 the paper printed the appeal of Frederick Chatfield, a leader for Belgium relief, who said one dollar a month would save a Belgian child from starvation and give him the extra food needed to keep him from disease. The newspaper even printed the names of those who sent in donations. 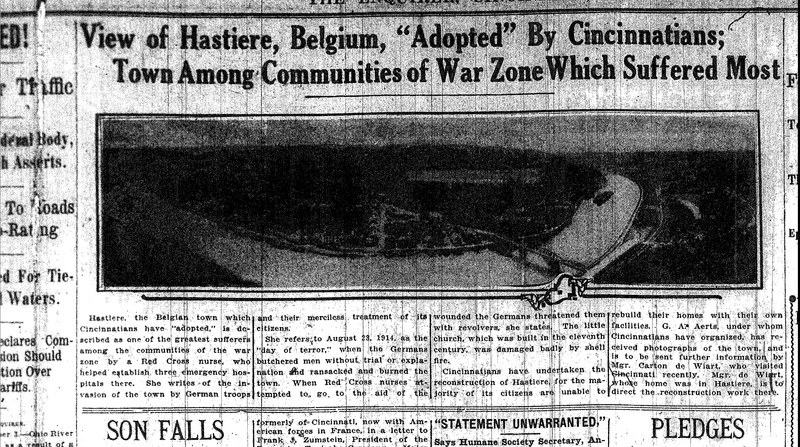 Cincinnati adopted the town of Hastiere in Belgium in order to help it rebuild from wartime destruction. Among the buildings damaged was a little church, built in the eleventh century, that was bombarded by shells. 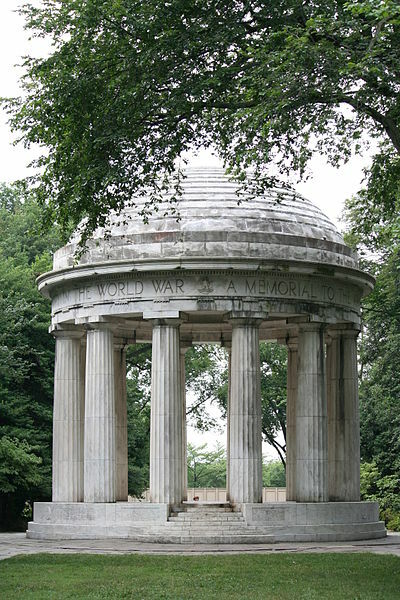 The men and women who suffered through World War I deserved a lasting peace. However, the world was at war once again just two decades later. The Second World War would bring even more destruction than the first. But on this Armistice Day, 2011, let’s remember that dream of world peace that should have followed the First World War, and not give up on that dream. The pursuit of world peace is the best memorial we can leave to the generation that sacrificed so much in the horror of the first World War. Lands struck by war can recover. Interestingly, I recently received two messages from Belgium, one confirming that the country is a donor to the UN World Food Programme to help this agency fight hunger in conflict and disaster zones around the globe. The second message is from Hastiere. All is well there, and the little church is rebuilt-the Great War long in the rearview mirror. 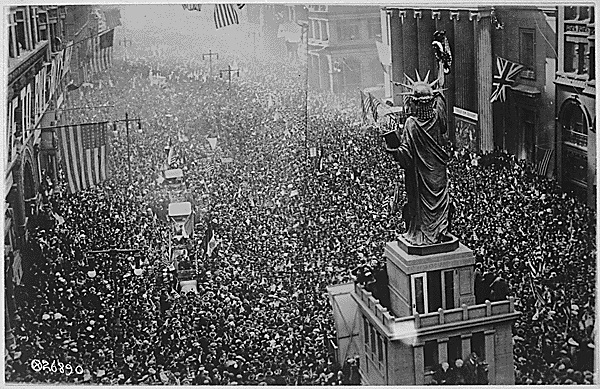 Article first published as Armistice Day, World Peace and Feeding the Hungry on Blogcritics.